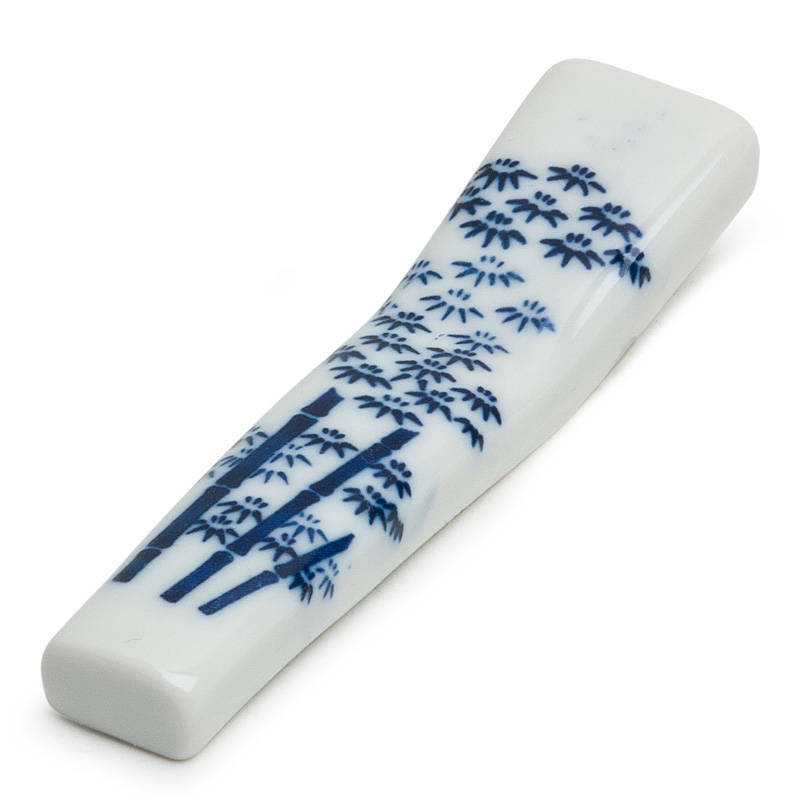 Bamboo designs on porcelain chopstick rest. Dishwasher safe. Made in Japan.